Hurry! Summertime is running out and boating season will be over before you know it! If your boat has been damaged or is in need of repair, Anchor Marine Repair is the number one place to go! We are number one in storm and collision damage boat repair and can work with your insurance company to bring your boat back to life and even better than its pre-accident condition! If you live in St.Paul/Minneapolis or the surrounding areas, Anchor Marine Repair is your one stop repair shop for all your insurance approved boat repair needs! We couldn’t be more proud of the facilities we have. Located near Lake Minnetonka, our two buildings offer over 10,000 square feet of working space! We can fit boats up to 38’ in length into our facility – no job is too big or small for us! Our skilled technicians use the finest tools, equipment, and repair techniques that will ensure quality jobs in a timely manner with every boat we encounter. If we don’t have a product or part that your boat requires, don’t fret! Our working relationships with our parts and product suppliers means that we can get a fast delivery on the items we need to repair or restore your boat properly! Can’t get your boat here? Not a problem at all! We offer free pick up wherever your are as long as it’s within 250 miles of the Minneapolis/St. Paul area. Our facilities provide us with everything we need to get you and your boat back on the water, enjoying the last few weeks of sunshine and summertime. 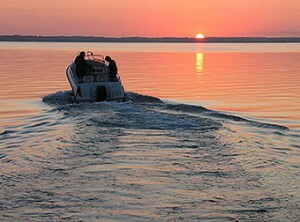 Boating insurance is a must when you are out on the water. Unfortunately, both accidents and encounters with misbehaving boat drivers can happen at any time. When a disaster occurs, we are more than happy to assist you in your claims process. We work with just about every company out on the market and are insurance approved to help you with your accident! If you damage is covered by insurance, we will work directly with your provider to repair it and make it better than pre-accident condition! Because we are #1 in storm and collision damage boat repair and restoration, your insurance company will trust us to do a great job. However, we know that you are our number 1 priority and always strive to make our customer’s happy! So if your boat is damaged in an accident, call Anchor Marine Repair to repair your precious water ride and get you back to floating, enjoying this boating season! If you live in Minnesota or the surrounding area, call us today at 763-972-3540.